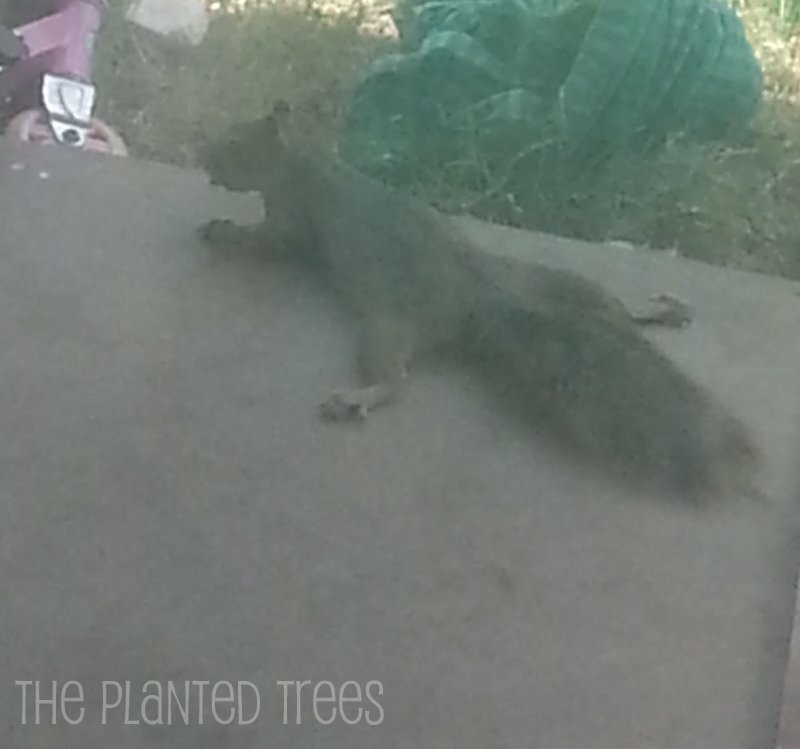 You know it’s hot when the squirrels are laid out on the back porch under the ceiling fan for some relief! P.S. Sorry about the poor quality of the picture. It was taken through glass with my phone. I'd never seen anything like it!